Thierry Breton graduated from the École Supérieure d’Électricité (Superlec) in 1979. 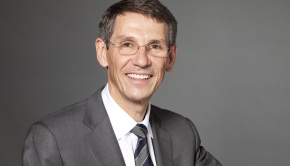 After graduation from the Superlec, Thierry Breton moved to New York, USA, to pass his military service teaching mathematics and informatics at French school. Two years later, the young engineer founded his first enterprise, Forma Systems. Similar to Atos few years later, this company specialized in IT engineering. For Thierry Breton, it was the first experience of heading a company. However, alongside his career as an entrepreneur, Thierry Breton pursued regional and national political career. 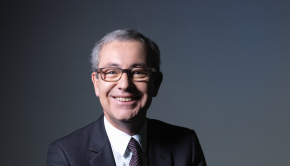 In 1980ies he first met Rene Monory, a President of the Regional Council of Poitou-Charentes, founder and president of Futuroscope Park. Between 1986 and 1990, Thierry Breton served as a project manager and later, as a general director of Futuroscope. This assignment paved him a way into the regional council, and in 1988, he became a president of the council. His connections to Rene Monory, who became a minister of Education, helped to open the door into public service. In the meantime, Thierry Breton continued his business career. In 1990, he became a director of CGI group. 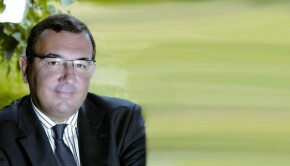 Between 1993 and 1997, he served as a Head of Strategy and then a Vice-President of IT company Bull. Thierry Breton developed his own approach to enterprise management that involved drastic cost-cutting, that he himself named “TOP”, meaning “total operating performance”. This approach was implemented in all companies that he managed between 1997 and 2002 (Thomson Multimadia), and between 2002 and 2005 (France Telecom). He became known for reviving the companies that had been close to going bankrupt. Outstanding communication skills also helped Thierry Breton in his political career in France. In February 2005, he was appointed as a Minister of Economy, Finance and Industry. Some of his major achievements on this post include the 2006 budget plan, famous for its “tax shield”. After leaving the ministry in 2007, Thierry Breton worked as a lecturer at Harvard, and then as a head of Carrefour and Air France. In February 2009, he was appointed as a CEO of Atos. He immediately announced a number of very important reforms, including the project “Zero Mail” that aimed at reducing the daily amount of emails between the employees through desk sharing,. Thierry Breton dreamt of becoming a famous writer, rather than a business shark. He began his literary career in the 80s, together with his co-author Denis Beneich, by writing their first technology thriller novel named "Soft War". This book, published in 1984, tells the story of a teacher and his pupil involved in the mysteries of the secret services during the Cold War. This novel was followed by "Netwar, Network Wars" and "Vatican 3". 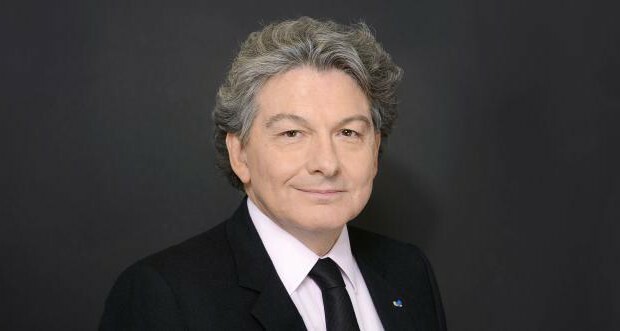 Thierry Breton also wrote a number of political and economic essays focusing on new technologies, such as "The invisible dimension", "The End of Illusions", "Teleservices in France" and others.